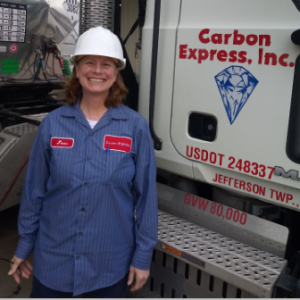 Some women have started driving for Carbon Express and already they are making an impact. Within a week of just starting on her own Jean Shea who lives in Altoona, PA., and works out of Blairsville in the wells, Recently she passed a level 2 and level 3 DOT inspections. Earning two nice bonuses already. Steve Pavlosky has already commented what a great job Jean has been doing out in the wells. Always has a smile, eager to learn and loves the work she is doing. Looking forward to next year when Jean will have a year under her belt and she can compete in the PA Motor Truck Driving Competition. Keep up the good work Jean. 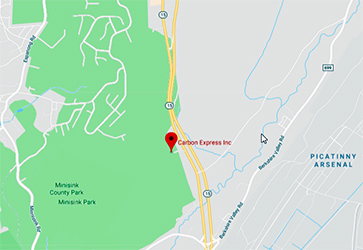 Carbon Express, headquartered in Wharton, NJ, transports liquid bulk products across the United States and into Canada. Established in 1983, the company is a leader in the transport of lubricant base oils and other petroleum products. Website Created and Maintained by 20-20 Solutions Inc. Copyright © 2018 Carbon Express. All rights reserved.